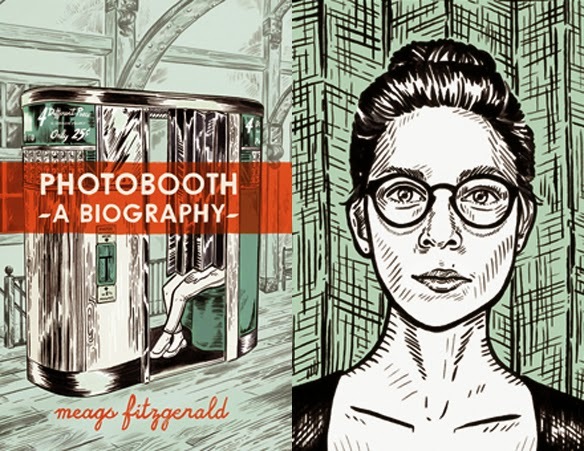 Meags Fitzgerald's Photobooth: A Biography is an interesting collision of an obscure aesthetic subculture, a technological subculture and a historical subculture. It's both a history of photobooth machines around the world and how her growing obsession with them shaped her as an artist and even a person. 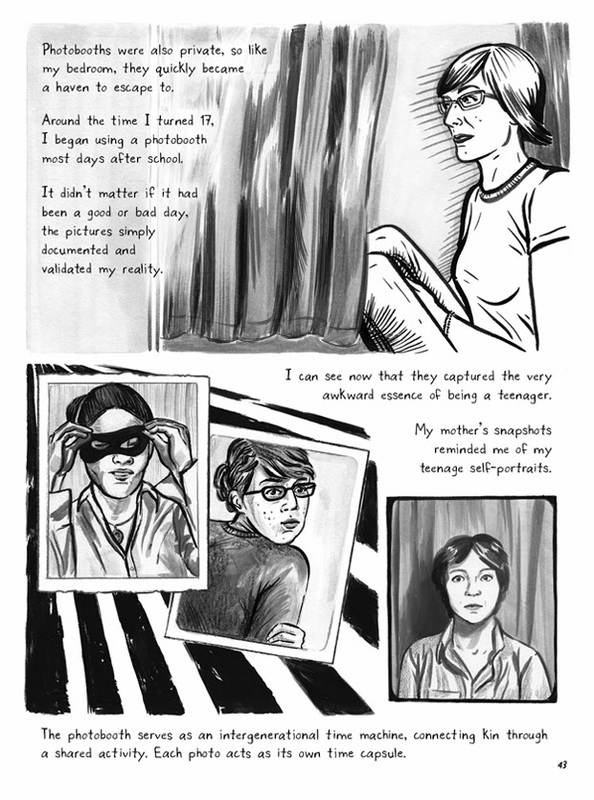 The book folds in Fitzgerald's journeys in working with, thinking about and talking to others about photobooths. On that level, the book is what it is: a lively history of a mostly forgotten technology whose initial appeal was bringing a new technology to the masses at an affordable price. Her naturalistic style and obvious hours of research shine in this regard, bringing to life the many different models, styles and technological advances in each machine, as well as the historical context that made each change necessary. Fitzgerald's line reminds me a lot of Jessica Abel, especially when she worked on her Radio project. While photo booths still exist today, they are digital photo booths, which give a different quality of photo than the old analog booths. Of course, this does lead her to question her devotion to analog booths and wanting to save them and raise attention to their unique qualities, because the chemicals that make them work are highly carcinogenic. 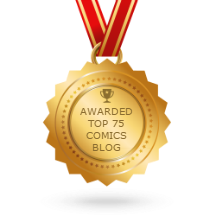 In general, Fitzgerald shows a healthy skepticism toward her own obsession, though she feels obligated to see it through to the end with a certain sense of self-deprecatory humor. She knows what she's doing is slightly deranged but can't quite help herself. Along those lines, I loved the scene where she flew to a convention and met her "tribe" for the first time: other big-time enthusiasts, experts, and mechanics, many of whom knew far more than she did. For a fan, meeting someone who speaks their language can be an overwhelming experience, and that was certainly the case with Fitzgerald. One thing that Fitzgerald didn't touch on was the inherent and obvious narcissism of her self-photo obsession with the analog machines, as she kept a record of thousands of shots over the years of herself. It's no wonder than an Italian photographer thought that he could seduce her by flattering her with an offer of a photo shoot, but she shot him down because narcissism is not the same thing as vanity. She wasn't vain at all, just obsessed with image and of aligning her identity with a particular, disappearing method of capturing this image. Even with all of her misgivings, the compulsive nature of her activities (especially with regard to spending money she didn't quite have) points to someone not quite in control of their actions, even as they're aware of it.